No, this offseason was supposed to be about building for the future. About grooming Spencer Sanders into a Heisman contender, about re-calibrating the oft-woeful special teams, about finding — be it schemes, play-calls or Wildcat formations — every way imaginable to get the ball in the hands of Chuba Hubbard. Or maybe this was Gundy’s plan all along. Maybe Gundy is as clairvoyant as he is cocky. Because somehow, despite Mike Yurcich bolting for OSU proper, and despite Josh Henson heading south to take a spot on staff with the lesser Aggies (both for handsome pay raises, I might add), Gundy seems to have come out with a stacked deck. Yes, things might actually be better now than they were 40 days ago. To be clear: Replacing Mike Yurcich is going to come with its challenges. His roots were spread all the way into 2022 in recruiting, and players and staffers loved his affable personality. And the same goes for Henson, a good guy by every account who recruited like a maniac and engendered the type of goodwill his players will vouch for until they’re old and gray. Insiders believe he’ll one day be a head coach if he wants. But both replacements, taking into account fit, scheme, and (of course) #culture, might actually be an upgrade. Anyone who knows anything about Ivy League Football and saw Sean Gleeson coordinate plays at Princeton the last two seasons were ready to give their first born that the recent hire will be a slam dunk for OSU. And Henson’s replacement — albeit, not as apt a recruiter — is the type of guy that comes to a job interview with a U-Haul just to have enough space for his 900-page resume. 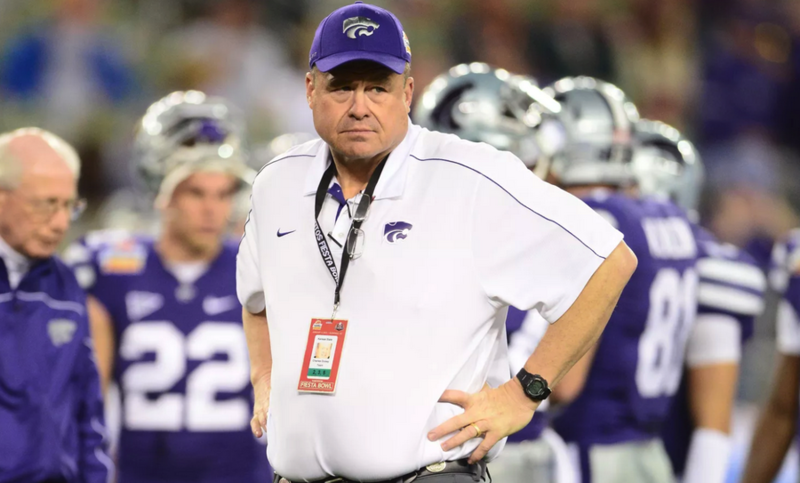 I know next to nothing about offensive lines, except for the fact that the ones coached by him at K-State were downright nasty. And for once, I actually don’t care about how he can recruit. He could turn my mailman into an All-Big 12 second-teamer! Prod deeper into the hires, there are definitely some minor flaws in my theory. Gleeson’s never coached at the Power 5 level — much less in the Big 12, much less at OSU, where the standard for offense generation is somewhere between a skullet and a recently-hired Browns coach. And oh, by the way, he’s in his mid 30s. And Dickey? He’s a 30-year coaching vet. If there’s any concern, it might actually be that, unlike Gleeson, he’s getting up there in age. How will he Snapface/Facechat his recruits? Who will be the one to tell him he can’t wear bellbottoms to work? Jokes aside, neither are Zion-in-transition slam dunks. They’re really solid on their face, though, and the hires show Gundy was willing to go outside the box (Gleeson) and inside the conference (Dickey) to plug holes. They’re maybe not the most exciting, I’ll cede. A borderline millennial and a quinquagenarian is kind of all over the map. But this might just be one of the most quietly successful offseasons Gundy’s had. Gleeson was out of left field — and he’ll need to validate he was worth the call up to the big leagues. But his brilliant playcalling should engender optimism in the lead-up to 2019, and Dickey’s experience as a co-OC/schemer should do the same. Put them together and you get Charlie Gleeson Sean Dickey a really unique/fascinating combo Gundy has merged onto the staff; one that, potentially, could be an elite tandem to build off going into 2019 and beyond. The post In Offseason of Change, Mike Gundy Managed to Upgrade His Coaching Staff appeared first on Pistols Firing.